© David Gresham and Martin Thaler, 50th Anniversary View-Master 3D Viewer. Photograph by R. H. Hensleigh and Tim Thayer. Manufacturer: View-Master Manufacturing, Inc., Portland, Oregon, a subsidiary of View-Master Ideal Group, Inc. In the 1980s, architecture and design clearly reflected a new aesthetic that diverged from the reductive forms of twentieth-century international style design. Social activism and new critical theory emerged in the 1970s, inspiring a new generation of designers to invest their forms with more profound meaning. The Chicago firm of Design Logic, a partnership between David Gresham and Martin Thaler, exemplified this postmodern viewpoint. As their company’s name implies, they advocated a functional approach to design, creating stylish and witty forms that emphatically revealed or overtly symbolized the use of a product, a strategy known as “design semantics.” Design Logic’s redesign of the universally recognized View-Master reflects the team’s rationale and daring. Commissioned for the fiftieth anniversary of the beloved toy, their design features a transparent plastic front that exposes its operation to the user. 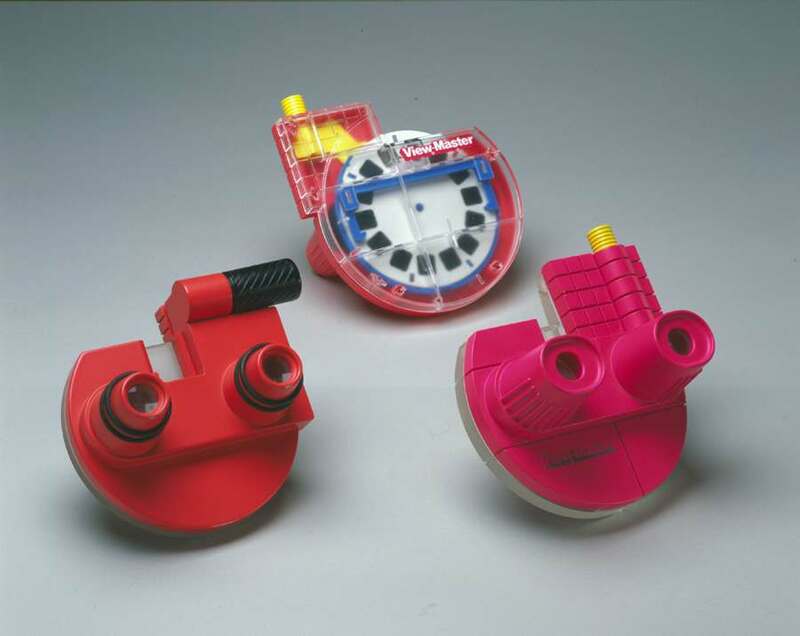 This model, which underwent several modifications in the design process, was introduced to the public in 1986, but ceased production shortly thereafter when View-Master Manufacturing, Incorporated, changed hands. Other View-Master products conceived by Design Logic, including a Talking Projector, were never manufactured as a result.